Beer yoga combines two of our favorite things, because why should we have to choose? In case you’re having any trouble sticking to your New Year’s Resolutions, we have just the solution. It’s a way to let loose while getting loose. It’s called “Beer Yoga.” And it’s a fitness trend we have no problem getting on board with. 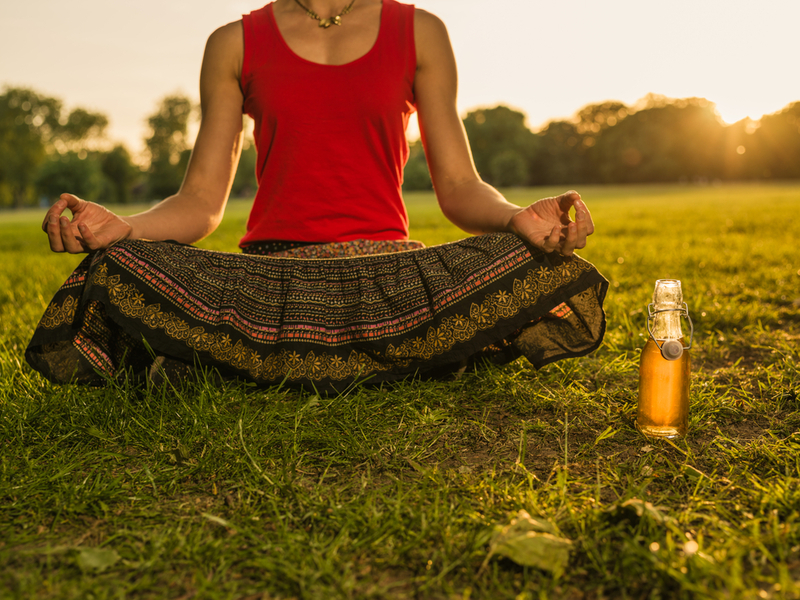 Beer yoga is exactly what it sounds like – you drink beer while doing basic yoga poses. The yoga poses are modified so that you’re always able to keep your beer handy. Or, at the very least, you can take a swig after a particularly trying sequence. And it’s apparently a national and international craze. Some beer yoga actually takes place in legit breweries, which is just mind-blowing. According to Cosmopolitan, one of the original beer yoga trends began in Berlin. Classes were taught to incorporate holding a beer in your hand while still getting in the classic poses. But it’s probably fair to guess that many places put together the idea of combining these two awesome things on their own. No matter who originated the concept, we are forever in their debt. Now, we no longer have to choose between happy hour on the mat or at the bar. We can enjoy both at once. And if you needed extra motivation to master that handstand this year, you can now remember how useful it can be in a party situation. Of course, we recognize that this beer yoga fitness trend is just a playful combination of two fun things. If you want to get in really great shape, it’s probably not the best idea to ~always~ combine your workout with a drink. And if you don’t drink, a healthy yoga session without the suds is obviously excellent for you. This may not be what yoga founders had in mind, but it sure is a fun way for modern yogis to get their drink AND downward facing dog on.